When comes to engineering initiatives to fight climate change, what works, what doesn’t and how much will it cost? Today’s Dominion Post carried an article reporting on the recent geo-engineering workshop run by the Royal Society. 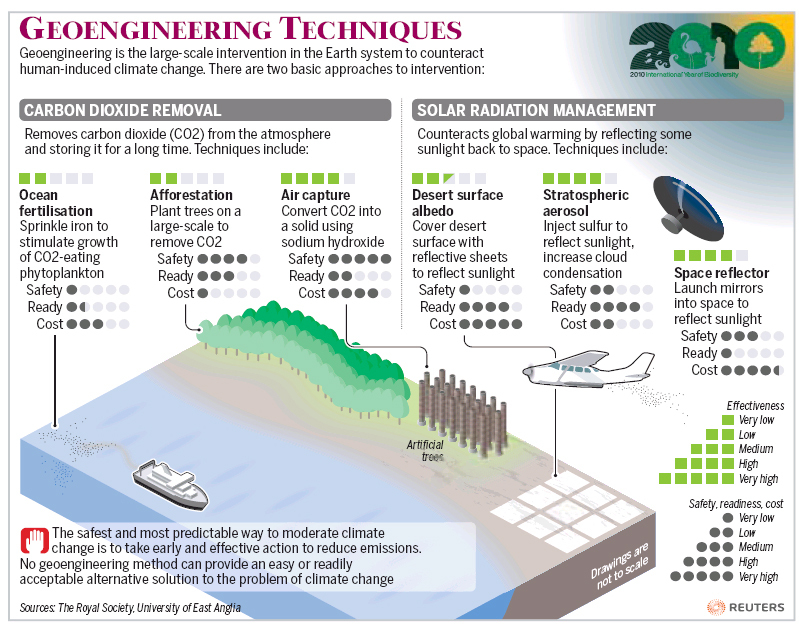 Accompanying the article was this Reuters infographic giving a concise yet informative over view of several geo-engineering projects. Such projects could be used to combat climate change and were discussed at the workshop by leading NZ scientists such as NIWA’s Philip Boyd and Mike Harvey. You can read the whole article, ‘Dangers seen in tweaking the planet’ by Kiran Chug, here.